While real estate isn’t traditionally known for being on the cutting edge when it comes to implementing technology in business practices, more and more brokerages and agents these days are seeing the value in virtual reality (VR). Home tours are among the most visible ways that VR is being used in the industry, but there are many other uses that are creating a demand for skilled VR specialists with an eye for design. Real estate professionals have exhausted those traditional ways of creating an experience for their clients and are searching for something more immersive, building upon a job market that may have been considered more “niche” (at least, for smaller operations) in previous years. When a home buyer – especially a more tech-savvy one – is looking for a home, they’ll look for sites that can provide the most information compared to others in their market. With the majority of home searches beginning online, this has created somewhat of an arms race in the residential real estate world. 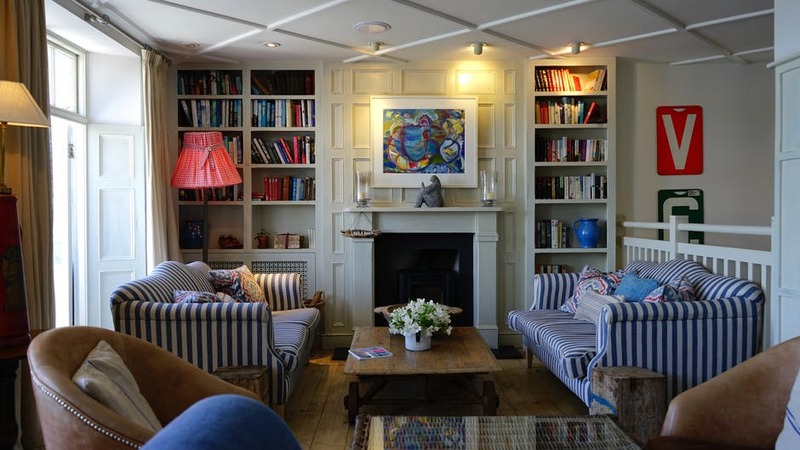 Online tours need to offer much more than just a few still photographs, and they can take a potential buyer around the home almost as if they are right there, seeing it in person. With virtual tours becoming commonplace, buyers are beginning to expect them. The benefits are not so one-sided, though. Agents can spend more time showing homes that actually fit buyers’ needs as opposed to homes that were not properly represented in photographs. As virtual tours feature becomes standard, agents and brokerages with enough resources are moving toward investing in virtual reality to further improve and streamline the showing process when meeting with clients in order to sift through those properties that “work” for their clients and those that do not before driving out to see them. It can be tough to imagine something that does not exist yet. Floor plans and blueprints can give buyers and investors an idea of what they’re getting into, but these methods still present a bit of risk to all parties involved. When builders offer the VR experience to clients, they can better communicate their desires and expectations before construction has begun. 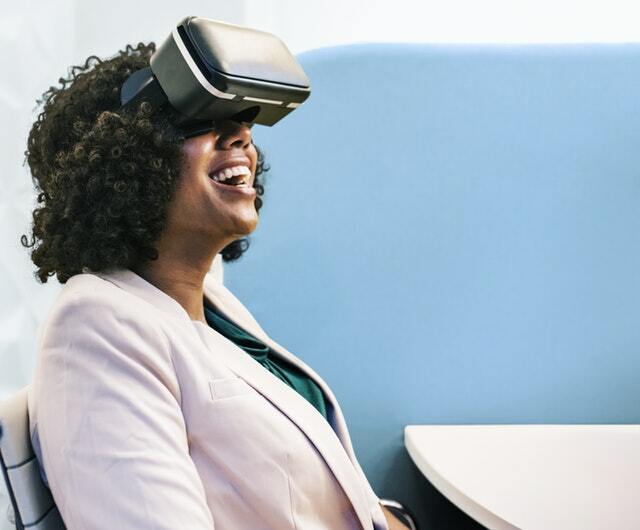 Buyers, after seeing the home in VR, can make adjustments and changes, or even choose a different floor plan entirely, if they see that the home they were considering isn’t actually right for them. Sometimes it’s very hard to tell such things without seeing it “in person”. 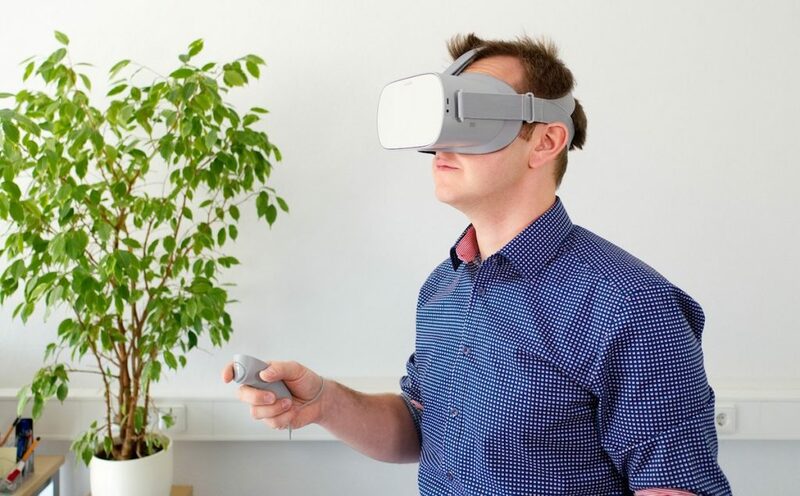 In addition to VR assisting with home buyers seeing the homes, builders themselves are starting to see the benefits of using VR in their own businesses. Home builders are beginning to use VR for many purposes, though business employee training and safety are currently one of the biggest uses of VR. It is expected that home builders will increasingly utilize VR in the design and construction process in the coming years. Buyers who are looking at purchasing a home may want to take their existing furniture with them. They may also want to buy new furniture, but aren’t not sure what will fit in the homes they are considering. When a homeowner measures their furniture, or furniture they like at a store, they can drop those dimensions and other information into a program and see where the furniture would go. 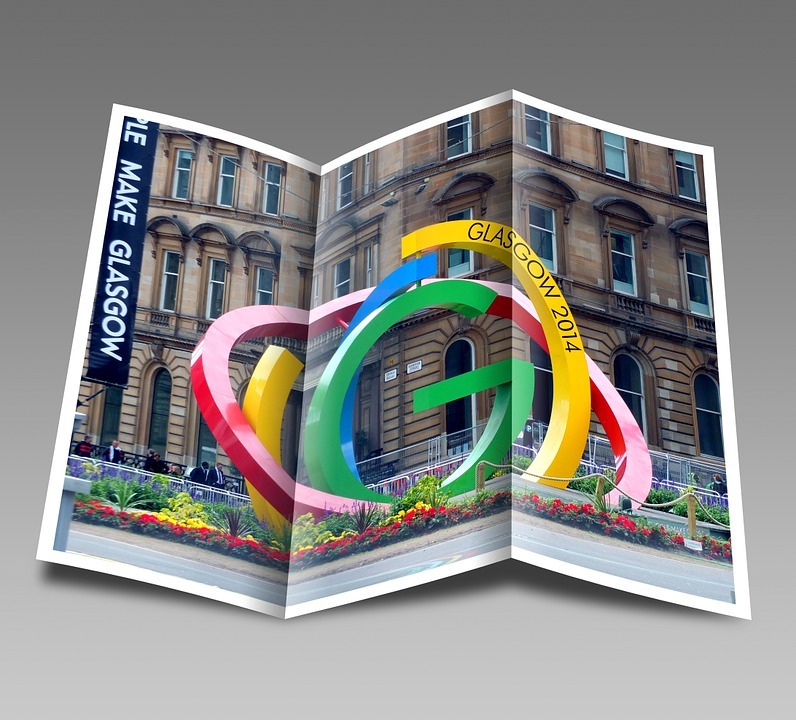 By using Augmented Reality, or AR, they can also get a good idea of how well it fits in the space, and whether it’s going to work for the ideas they have in mind. It’s much better to discover before the house or the new furniture is purchased that something they had planned to use doesn’t fit the space at all. As Augmented Reality and Virtual Reality become intertwined with smartphones, tablets, and computers, having access to and an understanding of these technologies becomes increasingly important. The majority of home searches occur online and, believe it or not, more and more buyers are purchasing property without ever seeing it in person. The real estate world is quickly changing, and businesses will have to adapt to the needs of their clients. Moving forward, VR in real estate may evolve much like the real estate website. When consumer access to computers and the internet were relatively new, professional websites were “nice to have”. After only a few years, they became an absolute necessity. 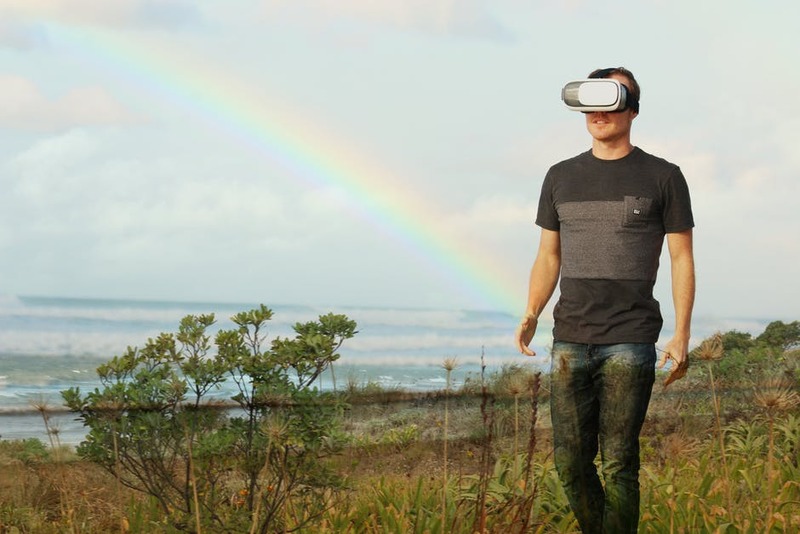 With this occurring in the not-so-distant past, real estate professionals may be eager to adopt VR technology sooner rather than later. Anthony Gilbert is the owner of The RealFX Group. Anthony specializes in real estate lead generation and digital marketing. Virtual Reality is an immersive computer technology allowing its participants the opportunity to partake in a simulated environment. The chance to immerse ourselves in a uniquely alternate reality certainly is enticing — but how do you construct the skeleton of a story for the meaty VR body to hang on, and hold your audiences’ attention? A lot of the same principles of storytelling apply to VR storytelling and scriptwriting, as they do to its conventional counterpart. Yet in VR storytelling you must consider your audience as an immersed participant. What pitfalls do you need to look out for? That is the right question! 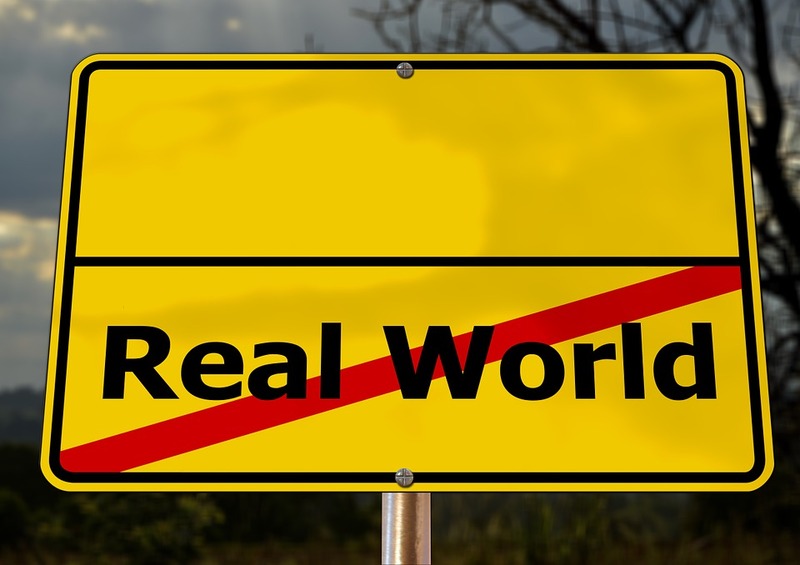 The pace by which you reveal your VR world to your audience is crucial. For the vast majority, VR will be an entirely new experience — and at first, an uneasy one. You need to allow them time to adapt, ease them in gently so to speak. Oculus Story Studio suggest a 30-second settling in period, as most viewers will be more familiar with flat screen viewing. 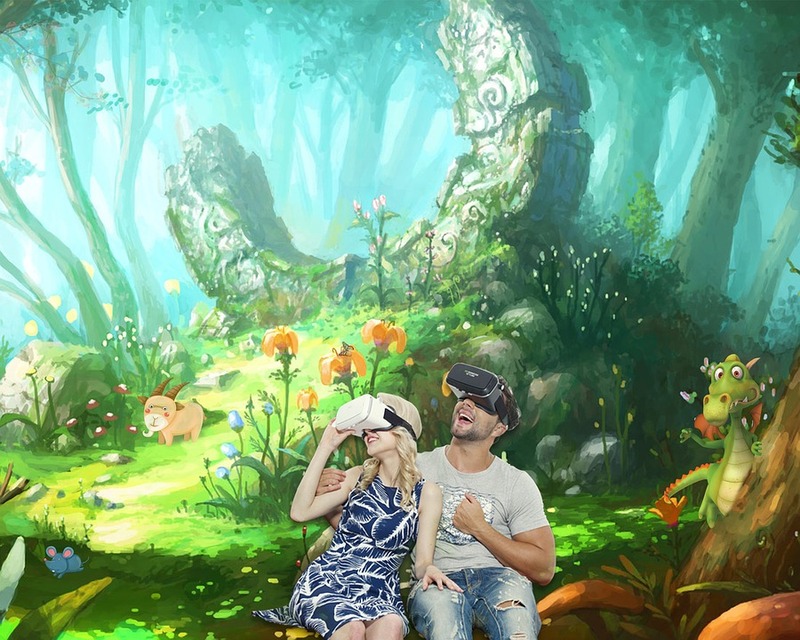 This time period is enough for the participant to relax into the new VR environment. A slower, introductory pace at the beginning will allow the narrative to shine at the more important, later stages. 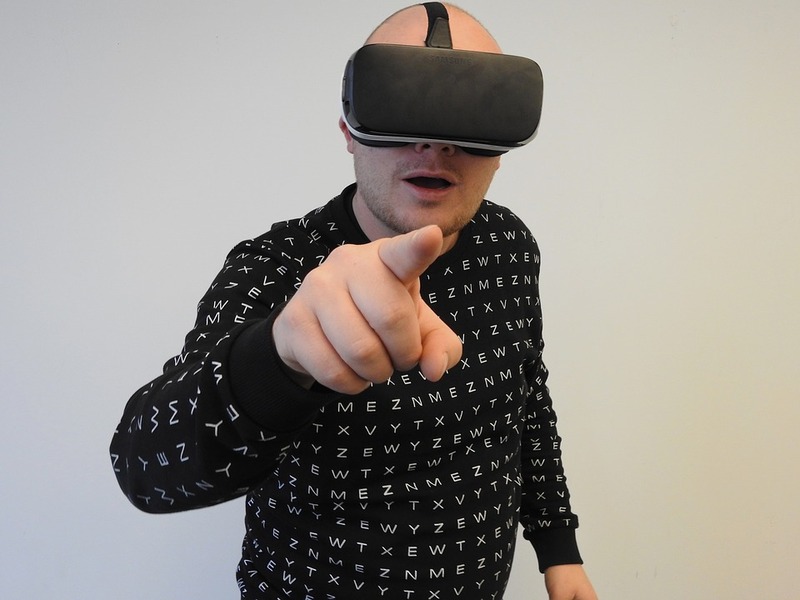 If you rush your audience into the narrative immediately, the unfamiliarity with their VR surroundings will give them a sensory overload, causing many audience members to just walk away. VR is the medium for audience autonomy and freedom. Instead of writing your script with a confined narrative, your storytelling should embrace the space and explore the world you’ve built. One of the more challenging aspects involves writing a narrative that a participant can lose themselves in, remembering that we still naturally assume ownership of the virtual environment with which we’re engaged. First person POV is certainly the more difficult choice, but has the advantage of looking through an active participant’s eyes. This is not just important in navigating the pitfalls of POV, but we cannot forget that the participant must actively believe the environment they are immersed in. The reality of their Virtual Reality must be engaging. Writing a story where supporting characters break the fourth wall, engaging directly with the participant, adds a sense of realism to the participant’s experience. The intimacy of these moments is more likely to leave a lasting impact on your audience. Nowadays, giving autonomy to your audience in terms of story is common practice — particularly in the gaming industry. VR should be no different. If your audience desires freedom and autonomy of the world, give it to them. Ensure the character arc is engaging and the narrative is constructed with arc-altering decisions. Not only do these decisions develop a believable reality by giving your participant personified responsibility, but it also allows you to retain control over the story and direct your audience once more. The key thing to remember here is that the VR space is not just background, or filler. It is an active component in your immersive environment. The world must shift around the participant. Use it to drag their attention in the direction the narrative desires; this again relates to the cues we mentioned earlier. It is important to note the reverse sensory action of behaviours: How does entering a café, library, or school, affect you on a sensory level, and what then do you add to it to make it distinguishable? New York Film Academy Australia Screenwriting – Advanced Diploma & Diploma programs. Writing Populist – advanced writing guides for formatting, grammar, punctuation, and style. Essay Writer – online tool for accessing freelance editors. Academ advisor / Oxessays – very useful proofreading guides for new writers. Let’s go and learn – a great tool for non-microsoft writers in need of an online word counter. Assignment help / Best Australian Writers – Reference guidance for new writers. Following these tips will set you on the right path to successfully navigating the pitfalls of VR scriptwriting and storytelling. The reality of VR is essential to your audience. And though they seek autonomy and freedom within the world, using the outlined tricks and skills above allow you to retain this power via the narrative, dynamic spatial design, and immersive character arcs you’ve written. NYFA guest author Freddie Tubbs is a script writer at Paper Fellows. He regularly takes part in film conferences and writes posts and guides for Big Assignments and Write my Australia. As far back as the invention of the computer, imaginative scientists and lay people alike have fantasized about the potential that technology could empower us to travel through and perhaps one day live within computer-generated environments, virtual worlds that fulfill our perceptions and senses, resulting in an immersive and life-like experience. Today, many incredible virtual reality experiences exist that anyone can explore — while many more VR experiences are yet to be made! Whether it’s from the comfort of your own room or in a specially designed warehouse, here are some of the most impressive virtual reality experiences you can try out today. New York City is the place to go if you want to take on one of the most exciting virtual reality adventures on the globe. Wearing high-end VR headsets and while wielding their own actual proton pack, participants at Madame Tussauds Ghostbusters Experience enter elaborate rooms designed to replicate actual places from the Ghostbusters universe. You’ll sense being touched by ghosts, explore haunted versions of famous NYC locations, and blast away evil spirits in an experience that has been praised by critics from Time to Forbes. With the walking undead a major theme in so many popular movies and games in the last decade alone, you may think you’ve had enough of zombies — but Zero Latency’s Zombie Survival VR experience can change your mind. The most immersive zombie outbreak game in the world, Zombie Survival is a VR experience where you’re placed inside a giant warehouse with a gun in your hand and plenty of hungry corpses to blast way. Zero Latency allows groups of up to eight people to join the free-roam zombie scenario together, and visitors can also check out other games, including sci-fi shooter Singularity. Who hasn’t imagined what it would be like to be the Caped Crusader? 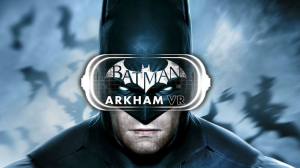 In Batman: Arkham VR, players can actually live out what it’s like to become the man behind the mask as they interact with vividly detailed environments, all made by the creators of the iconic Arkham game trilogy. In this thrilling VR experience, the story’s focus is on Batman’s exceptional detective skills. Just like Bruce Wayne, players can use a number of fascinating gadgets to search for clues and interact with the gorgeously sombre city of Gotham, all while coming face to face with some of Batman’s seminal friends and foes. It makes sense that the world’s favorite video-sharing website offers one of the best and most diverse VR experiences out there, if you have your own equipment to plug in (or can nab some extra time at your NYFA VR program’s lab!). Check out YouTube’s official VR channel to access tons of 360° videos that work on just about any VR and mobile device. You can explore the oceans of Australia, get a taste of what it’s like to fly a military aircraft, feel like you’re at your favorite artist’s concert, and much, much more. Everyone knows that IMAX is one of the best ways to enjoy a movie, so just imagine an IMAX VR experience! At an IMAX VR Experience Centre, viewers not only enjoy incredible, crisp visuals, but also 360° sound that transports you to other worlds like nothing else can. IMAX has partnered with top producers to provide experiences ranging from an action-packed adventure with the Justice League to a mystical experience as a tree going through its various stages of life. Check out the official Imax VR page to see what’s near you. It’s been more than a decade since Google Maps originally launched and changed the way we think of place with its innovative 360° panoramic views. Nowadays, Google Earth VR allows you to take your directional curiosity for real images of our home planet a step further. From the cathedrals of Florence and the ruins of Rome to Switzerland’s majestic Matterhorn, Google Earth VR allows you to take a breathtaking look at the places you’ve always longed to see. The average gamer doesn’t need to be introduced to Resident Evil, one of the longest running horror series in the industry that’s tense enough to freak you out while playing on a regular TV. Of course, those brave enough to try the game on a PS VR headset are in for an exhilarating gaming experience like never before, as they explore a creepy mansion inhabited by a sadistic family of cannibals. What are your favorite VR experiences? Let us know in the comments below! And learn to create your own VR content at New York Film Academy. What is a successful game? 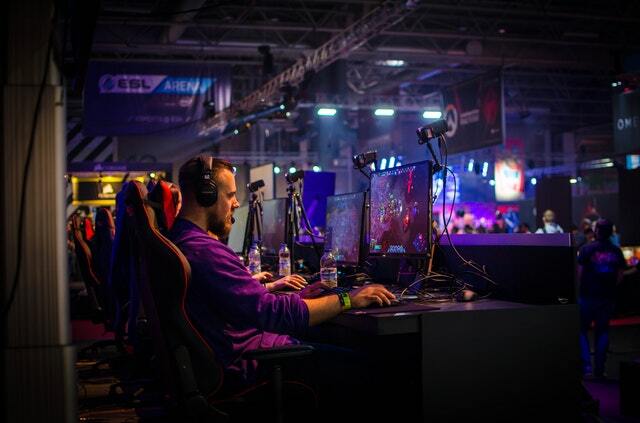 Defining game success in terms of profits is the easiest and simplest route: we can easily say that if game profits are higher than our investment, the game is successful. However, this view does not help us understand how to make a successful game, what ingredients to use and what processes to follow. Profitability depends on your game’s business model, which can vary widely from a free-to-play casual game to a premium VR experience. And in some cases, success might not even be about profit, but about teaching something or about creating a change in behavior — like in the case of many educational games. If you are trying to make a “successful” game it is much more useful to define success in terms of player engagement. In most cases, there is a strong correlation between player long-term engagement and profitability. 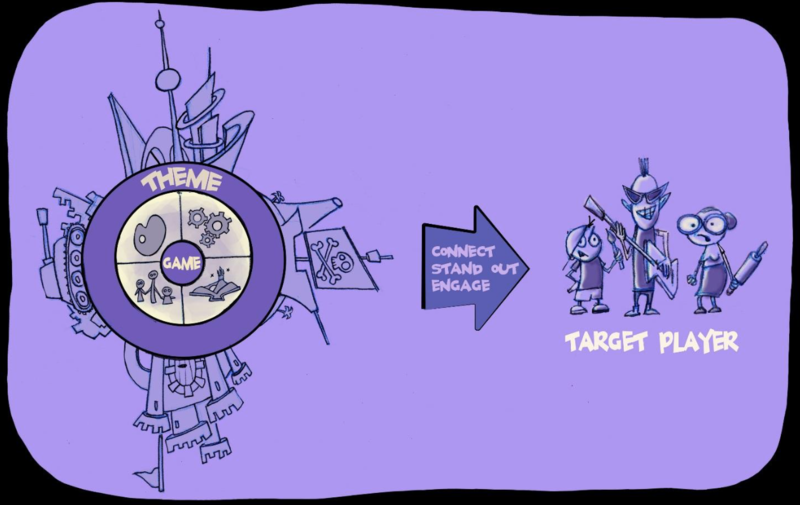 But if you understand more clearly how player engagement works, you can map the engagement sequence to the ingredients you need to add to your game and the decisions you need to make during game development. What Does a Successful Game Look Like In Terms of Player Engagement? STAND OUT: First, the game needs to stand out. If nobody is aware of your game, nobody will play it. Standing out is about the first impression. The challenge is finding a balance between familiarity and novelty, offering something the player understands but that is different enough from all the other apps to stand out. CONNECT: Second, the game needs to connect with players and make them interested in finding out more. Somebody yelling in the middle of the street will get noticed, but the act of yelling itself won’t get people interested; people will only respond if they connect or resonate with what they hear. The same happens with games that get your attention in the app store or in the first couple of minutes of free-to-play game. ENGAGE: Third, the game needs to engage players and keep them playing for a while. In most cases, the longer players stick around the more profitable the game is: this gives you more chances to monetize, more chances to get subscriptions, more chances to get recommended to friends, etc. GROW: Finally, the game needs to find a way to scale or grow its player base. The best way to do that is by keeping your existing players, and adding features that make them want to invite their friends and promote your game. Knowing that you need your game to go through the sequence above will help you choose the right ingredients to fulfill each of the steps. For example, one of the best ingredients for standing out in the crowd is having unique art; and one of the best ingredients for growing your game organically is by adding social mechanics that form a community around your game. There are in fact a few key ingredients that can be combined to fulfill the sequence above and create long-term engagement. Of course, none of the previous stuff matters if you are not reaching the goals you were trying to achieve with your game in the first place. You might be attracting players and keeping them around, but if you are trying to make an educational game and your game fails to educate, you are not succeeding even if you have tons of players sticking around. The same goes about monetization: if you have hundreds of thousands of players but you are not monetizing or reaching the profit you were looking to make, you are failing. You need to make sure that as your game connects and engages it is also teaching and/or monetizing. That is a big part of the trick, but for now let’s stick to the basics: you need to have a very clear idea of what are your goals and make sure that everything revolves around that. Just as important is to have a clear idea of your target player. The things that I need to do to stand out and connect to kids are very different from the things I need to do to stand out and connect to young adults. One of the main mistakes I’ve seen in my years developing games is trying to make something that is appealing to everybody, or to a very wide range of people. Trying to please all usually ends with not really pleasing or connecting with anyone. A good first step towards creating a successful game or a successful VR experience is defining how it looks in terms of player engagement. Player engagement usually follows a specific path with specific steps: stand out and be noticed by your target audience, connect with them, engage them to continue playing for a while, and finally make them want to share your game with their friends so they stick around and help you grow. 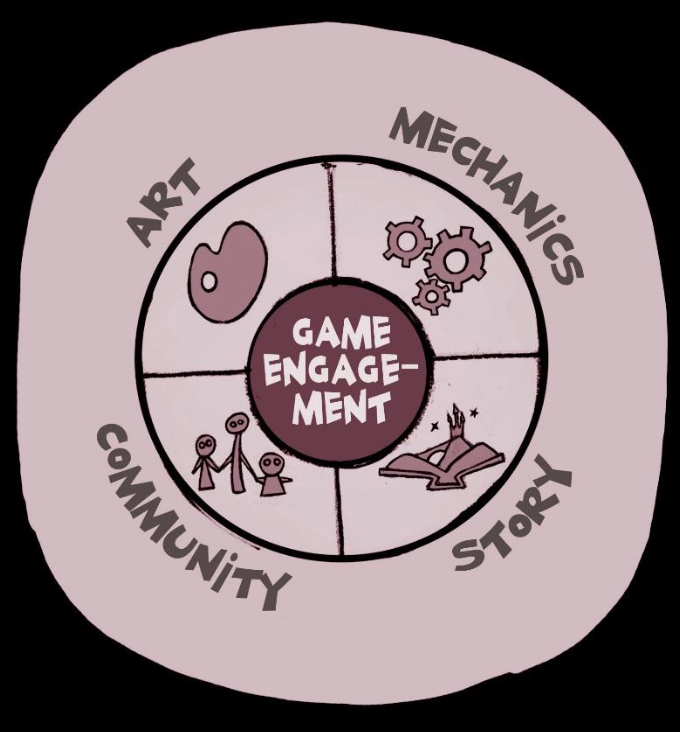 Once you have a clear idea of what the game needs to do, you can look for the right combination of ingredients — art, game mechanics, story, and community building — that can take the players through the engagement sequence. In another article I will talk more about how these ingredients relate to the engagement sequence. Ready to learn more about game and VR experiences? Check out NYFA’s VR and Game Design programs. 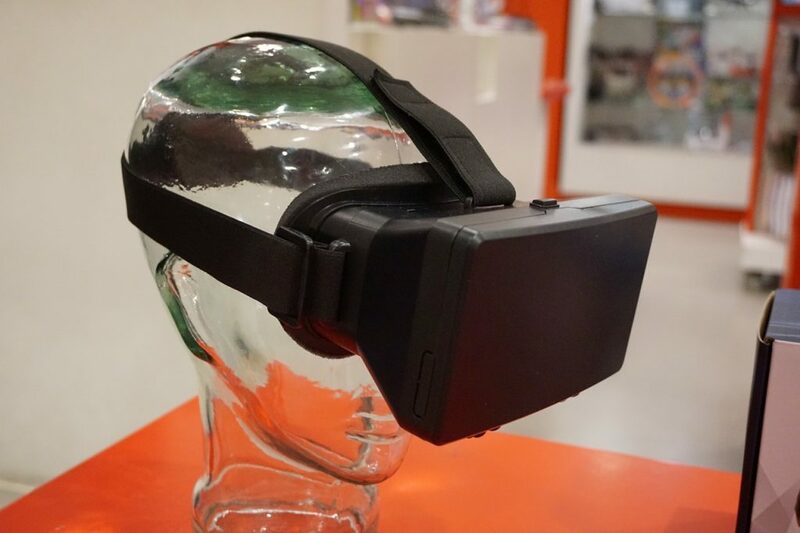 With many companies moving from brick and mortar stores to online showrooms, advertisers are turning to virtual reality to help sell products — especially those that most people want to see or test before buying. As the technology improves and more people adopt VR viewing devices, advertisers will have more options for getting their messages out. 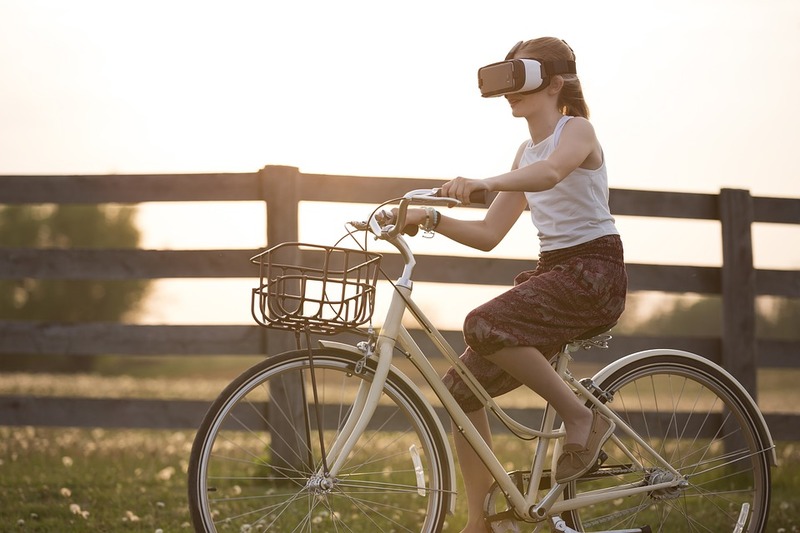 Marketers are using VR storytelling to create short, immersive experiences that are quite different from traditional television and online commercials. These VR experiences tend to unfold and slowly introduce the product, allowing the viewer to “discover” the product within the experience. Being able to tell an immersive story through VR makes it more likely that viewers will share the clip online rather than clicking to skip the ad — at least until the novelty of VR wears off. VR can also be part of an event. Because the VR viewing experience allows the viewer to look at different things in their environment, they may choose to watch the same piece of advertising more than once so they can focus on different things each time. Through VR, marketers can showcase products in an “ideal” environment and customers can choose what items to inspect more closely. In 2015, Target ran a series of Halloween ads using VR to show off its line of decorations and costumes. There are six ads, that taken together, tell a story. The Ghoulish Graveyard makes good use of VR technology to help create atmosphere and let viewers see how they might set up a similar lawn display. Travel and tourism are natural subjects for VR filmmakers. Dubai Here You Are presents a day in the life of Dubai while Best Western has a series of ads showing off the lobbies and rooms of its hotels across the U.S. Hiking boot maker Merrell produced what they claim is the first commercial “walk around” VR experience in 2015 with its Merrell TrailScape. Using the immersive narrative techniques also gives more power to public service announcements and showcasing a company’s charitable efforts. AT&T has several ads pointing out the dangers of distracted driving. In a spot titled It Can Wait, viewers are placed in the driver’s seat as a series of texts becomes more of distraction. Experience the TOMS Virtual Giving Trip takes viewers to a school in Peru where the company donates shoes to the students. Companies with a social conscience use VR to take customers behind the scenes to show how their purchases can help people around the world. 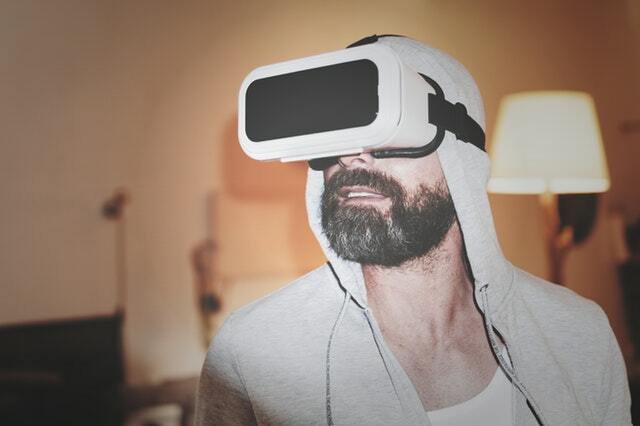 VR advertising can help show that even long-established brands are modern. McDonald’s and Coca-Cola are also dipping their toes in the VR world with packaging that can be converted into VR viewers and with links to games and shorts that advertise their products. Luxury car makers have used VR for virtual test drives. Volvo offers viewers a look around the cabin of the XC90 and then an experience driving a scenic mountain route. Audi uses VR and sandbox gaming to let people build tracks and experience the ride in their Sandbox. Interactive advertising that appeals to young and old helps establish brand recognition that lasts a lifetime. Lexus and ABC teamed up to make QuanticoVR, which gives viewers the point of view of a rookie on the force—there is a chance to look at the interior and exterior of the Lexus and then immersion into the show. Interested in becoming a virtual reality developer? Study virtual reality at NYFA. To be very honest, it’s impossible to NOT be excited about the sheer potential of virtual reality. From the perspective of the user- it’s exactly like tumbling into wonderland and discovering a whole new surreal and interactive world. From the point-of-view of the VR developer, it’s like playing God- creating and designing a world as per your imagination. 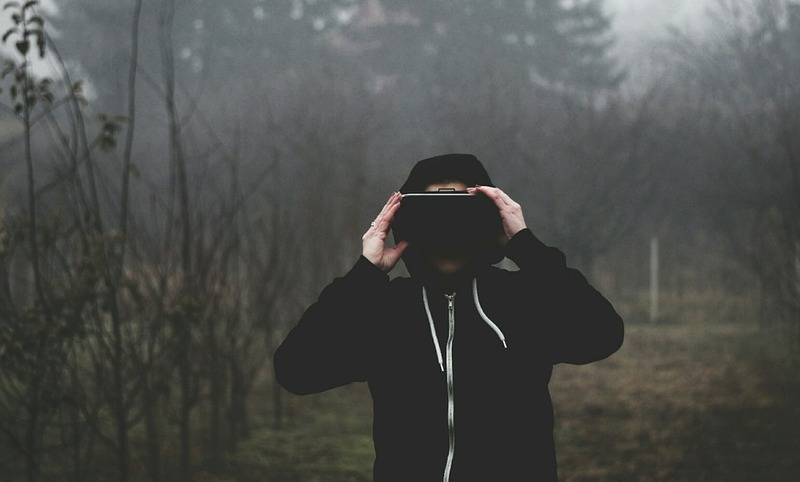 Whether you’re looking to work in the lucrative VR industry or just a scifi nerd, these books will inspire you about VR’s future by sharpening your imagination with futuristic fantasies or giving you theoretical knowledge you can put to test. If you’re looking for an easy to read but extensive introduction packed with practical tips, this is your go-to handbook. Written by an industry expert and entrepreneur, this book gives you a lowdown on the 3 most important VR platforms- Cardboard, Gear and Oculus- and explains how to actually go about doing the stuff. After all to make your imagination into reality you need to learn UI design, work with 3D graphics as well know a fair bit of programming. This seminal cyberpunk work of fiction, first published in 1984 that ushered in the world of cyberspace and VR, long before the Wachowski duo made the “The Matrix” (1999). Set in a futuristic America, the novel follows Case and Molly as they try to save the world from a rogue AI. So if you’re having trouble wrapping your head round the whole idea of VR and its consequences, this book should give you ideas. Of course, if Pokemon Go is anything to go by, the primary field to be affected by VR is the gaming industry. Which means if you’re really interested in VR, you might as well be a geek when it comes to video games especially of the experimental variety. This book talks about how two random guys came together to form their company “id software” that went on to launch the famous “Commander Keen” and “Wolfenstein 3D” games. 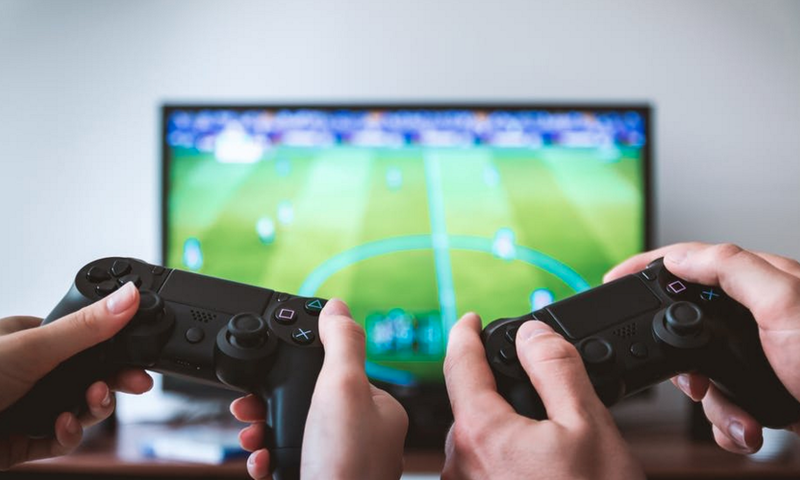 It not only gives a sneak peek into how the video games are designed and how the industry works in general, but it also highlights the importance of collaboration and the need to work in a team of complementing skill sets to make successful products. Hailed by VR experts and scientists like Michael Abrash, this hard sci fi novel that came out in 1992 literally set the ball rolling for the virtual to be made real. In fact, most of the VR terminology we use everyday such as “metaverse” and “avatar” can all be traced back to this book that is a blend of history, myth, linguistics, computer science and politics and makes for heavy reading. As Variety puts it, Ernest Cline’s visionary dystopian novel “has been hailed by many in the VR industry as a seminal piece of writing about virtual worlds.” It’s inspired so many current industry leaders, VR developers, and artists, that Warner Bros. is currently producing a major motion picture version of the book directed by Stephen Spielberg, to be released in 2018. So if you’re up for studying VR at NYFA, these books are a must-read to brush up your knowledge as well as to broaden your horizons. After all VR is one field that requires both technical skill and expertise as well as creativity and imagination. So while you’re reading a programming handbook on Unity, make sure you’re up to date with important sci fi literatures as well. What makes a game successful? The answer depends on your goals. Sometimes it is revenue, sometimes it is number of downloads, impact on your players, etc. However, focusing on these outcomes is usually not very helpful as a developer. It is much more helpful to define success in terms of engagement, because engagement can be linked directly to the kinds of decisions we need to make during development. 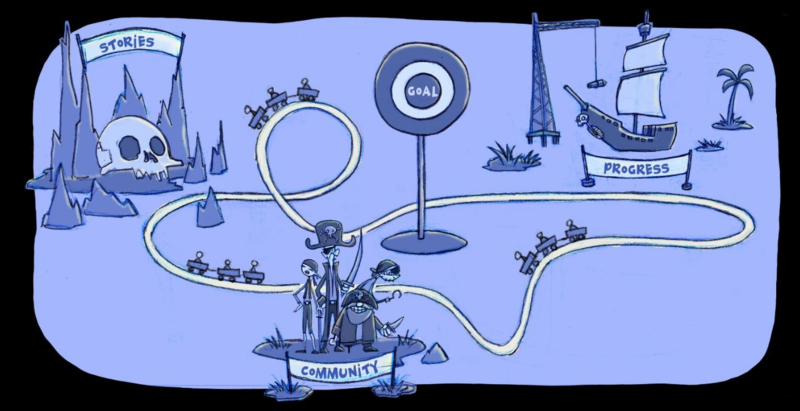 In a previous article (link to “A Roadmap…” article) we talked about how engagement follows a 4-step sequence: stand out, connect, engage, and grow. The next layer is to figure out which ingredients in a game can help you do that. In this article, we’ll look at five ingredients that will help your game or VR experience become more engaging in the long-term. ART: Art is what first catches your players’ eye and makes them want to take a closer look at your game. At first, players won’t know much about the specific mechanics and stories in your game. They decide to pay more attention after experiencing visuals that resonate with them. FUN: Art by itself, no matter how cool it is, won’t keep your players for long. Finding fun stuff to do that is easy to understand, with clear goals, is what makes players want to stay more than a few seconds. STORY: Even fun activities get repetitive unless there is a larger meaning and purpose behind them. Having a longer-term purpose or story that players can relate to is what makes them want to keep coming back. Shooting hoops is fun, but doing it everyday for hours can get boring quickly unless the activity is part of a larger story — like training to defeat an old rival team. COMMUNITY: All good stories need an ending, but the meaning and purpose that you get from being part of a community can last for years. The games that we keep going back to over and over are the ones that let us form connections with people that we care about. The importance of art, fun, story, and community may shift from one step of this sequence to another. For example, standing out depends much more on the art and how things look like than on the details of the story. Then again, engagement depends much more on the mechanics and story than the art, and growing depends heavily on the community building aspect. I’ve seen many good games that don’t succeed because they lacked one or more of these important elements. What I’ve noticed through the years is that games are much more powerful and effective at engaging players when all the elements mentioned above (art, mechanics, story, and community) work together and reinforce each other. Having a strong theme will help tie together the elements of your game and will make it much easier to connect emotionally with your players. But for a theme to do that, you need to have the right understanding of what a theme is. Theme is not topic. Saying you want to do a pirate game is not enough. There are many different potential approaches to a pirate game: is it about gathering treasure? Is it about fighting the law? Is it about ship battles? When you state your theme as a clear point of view you get a much clearer idea of what you need from your mechanics and story. In this case, the elements would all need to revolve around the excitement of being a pirate and feeling free of responsibilities and commitments. In his book “The Art of Game Design,” Jesse Schell relates an example from when we worked on a pirate’s virtual reality ride for Walt Disney Imagineering and DisneyQuest. 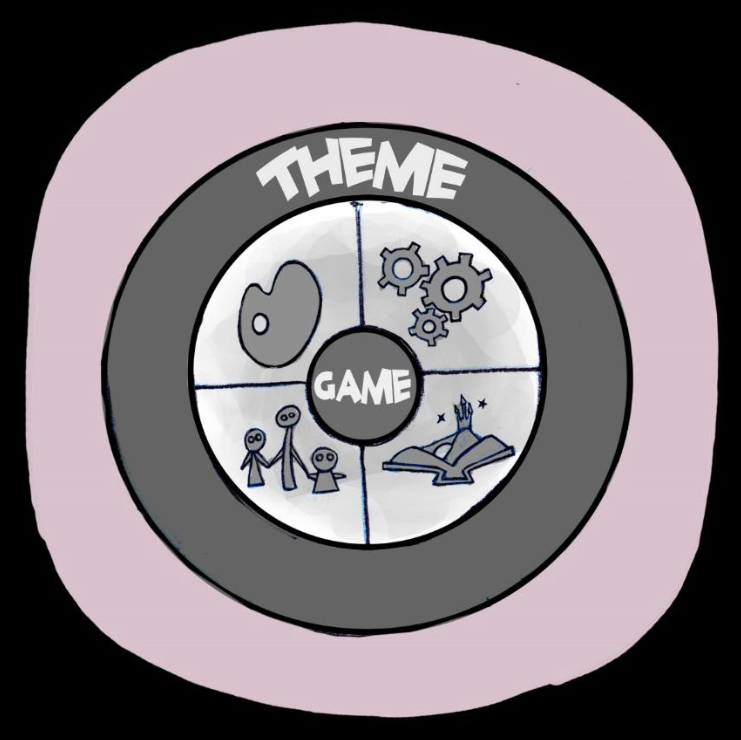 In his book, he writes that as soon as they nailed down a theme for the ride, many of the design decisions about art style, game mechanics, story, and even technology became clear. As a result of clarifying the theme, all these ingredients ended up supporting each other to create a much more powerful and award-winning VR experience. There are five ingredients that combine to help your game become much more engaging and successful: art, mechanics, story, community, and theme. When you put these ingredients together in a game or VR experience — art that resonates with your audience, mechanics that are fun and have clear goals, a story that adds meaning and context, a community makes you feel part of something larger than yourself, and a theme that ties it all together and connects to points of view with which your target audience can resonate — you get a much more engaging experience, and your chances of success grow exponentially. Ready to learn more about virtual reality and game design? Check out NYFA’s VR programs and game design programs! Found by Christopher Crescitelli in 2014, VR Fest is a fully-curated touring Virtual Reality Film and Immersive Technology Festival. The festival co-sponsors with Extreme Tech Challenge (XTC) and MaiTai Global on a the global VR competition called the Extreme Virtual Reality Challenge, where VR/AR pioneers and entrepreneurs compete for a cash prize and a chance to display their work at the VR Lounge on Sir Richard Branson’s private Necker Island during the XTC Finals Event. While the Tribeca Film Festival has film screenings, musical performances, and other events around Manhattan, the future of filmmaking is discussed and innovative work is on display at the Hub. In addition to Storyscapes, which features VR films, the Hub is also where you can learn about the intersection of art and technology in media, gaming, music, and documentary filmmaking. Founded in 1987 in Austin, Texas, SXSW is best known for its conference and festivals that celebrate the convergence of the interactive, film, and music industries. The SXSW Conference provides networking and educational opportunities as well as entertainment. The 2017 festival sessions included panels on funding VR projects, production in extreme environments, how VR and documentary filmmaking connect, using VR in live events and for global engagement, and several mentoring sessions as well as demos and screenings. 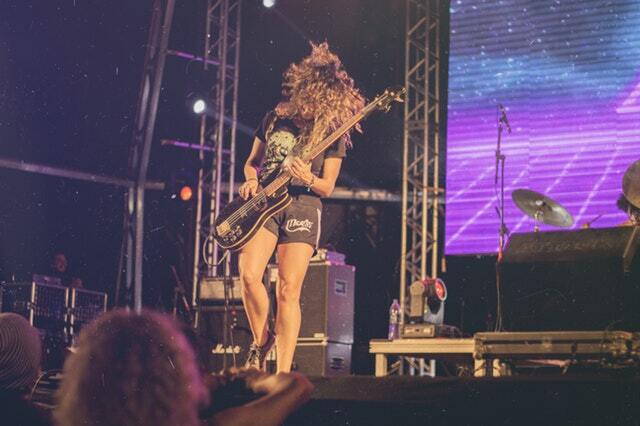 Kaleidoscope produces events around the world that showcase the best in virtual reality from independent artists. Each season Kaleidoscope produces curated, traveling exhibitions of work from VR creators around the world. The 2017 Showcase Vol. 2 will be organized by local VR creators in the following cities: New York, London, Berlin, Sydney, Kyiv, Los Angeles, Paris, Leipzig, Seoul, and Hong Kong. Imagine a film festival that you can attend from your own living room. That’s what the Cyberia Film Festival does for VR fans and filmmakers. The free, three-day festival allowed viewers from around the world to watch scheduled films and participate in Q&A sessions with filmmakers without having to travel anywhere. Held in Amsterdam this year, VR Days Europe is a four-day festival that includes workshops, lectures, and demos that explore everything from feature film storytelling to business applications for VR filmmaking. The festival currently has an open call for the October 2017 event. 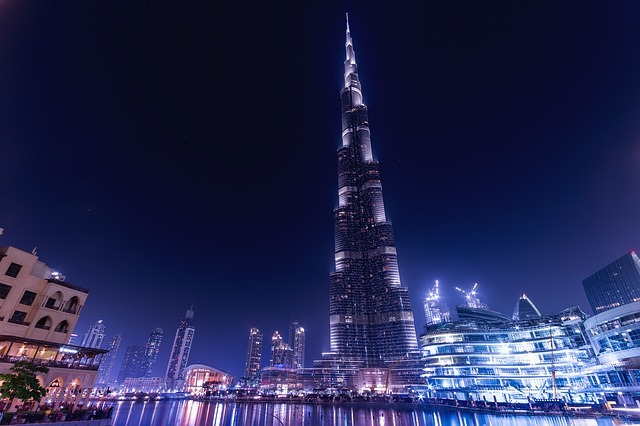 The Dubai International Film Festival (DIFF) launched its VR program, DIFFerent REALITY, at the 2016 festival. The DIFFerent REALITY program offers festival goers an international selection of VR films, including fiction, documentary, and animation. There is also a business hub of the festival that includes panels with VR creators, interactive installations, and the chance to network. 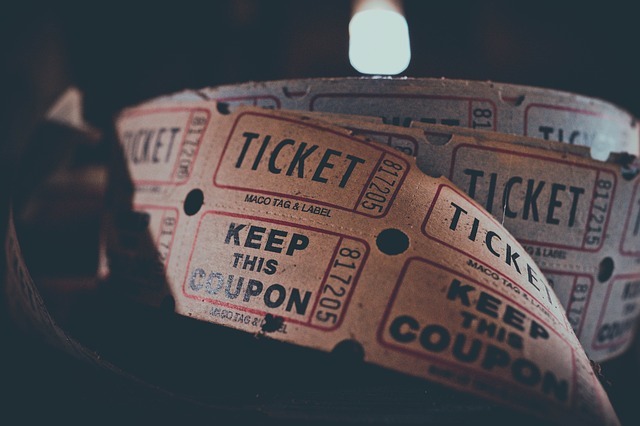 Now in its 25th year, the Raindance Film Festival is the largest and most important independent film festival in the UK. In January 2016, the festival announced it was launching Raindance VR, a section of the festival dedicated to VR filmmaking. The 2017 festival takes place from Sept. 21 to Oct. 2 and is accepting submissions. Festival organizers see VR presenting opportunities for low-budget independent filmmakers. VR filmmaking continues to evolve as the audience for it grows and the technology improves. Filmmakers and other creative professionals are exploring ways to use VR storytelling to expand the way they communicate and share ideas with an audience. Whether you are interested in film, game design, or other ways to use VR technology, the New York Film Academy likely offers the perfect course or workshop for you. Start exploring our programs here. Who knows? We might see some of your work at one of these festivals in future! Many of us might have been familiar with the world of virtual reality development via simulation games such as Second Life, where users can choose and customize an avatar and meet new people in a virtual environment. One could even go for dates, explore new landscapes, solve mysteries and even get married — virtually. By now, in an age of Pokemon Go, virtual reality development has come a long way. Now, it involves actually interacting with a simulated environment, mostly using a virtual reality headset or HMD. A virtual reality developer is a lucrative career option for those who love creativity and computers. But keep in mind, virtual reality development is a vast field; it operates using different rules, and requires a particular skill set and lots of patience. So if you’re a novice interested in virtual reality development, you’ve come to the right place for information. Below, we’ve rounded up some useful tips to help you get started. 1. Build a Strong Foundation. Think of virtual reality technology as an advanced master course, meaning you need some preparation material and introductory lessons. Courses like NYFA’s virtual reality workshops are an excellent way to develop competitive understanding of the technology and discover your own voice within this burgeoning field. Get fluent in product design, video game design, 3D modeling and animation as well as design theory. For programming, it helps to know C#. In other words, for virtual reality development, it helps to know about the technologies surrounding and supporting VR. For instance, why not take some design courses and programming lessons with NYFA’s 12-Week intensive Game Coding Workshop? Engage with virtual reality as much as you can, whether in the form of apps or games. Study and try to figure out what makes certain virtual reality development projects successful. 2. Choose a Particular Platform and Master It. There are plenty of platforms, each with its advantages and limitations, for you to experiment with VR. The best and easiest one for now is Unity — you don’t even need the special VR hardware to start creating games. It is also freely available. Another engine you may want to check out is Unreal. 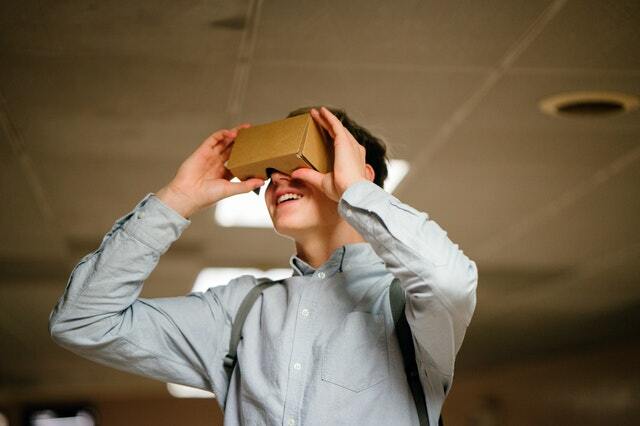 Start out with Mobile VR and make a prototype using Google Cardboard and a Cardboard Viewer. WebVR is another entry point for VR developers, with many media companies and forecasters betting that a 3D, immersive internet is on the horizon. As VR devices get more accessible and affordable, content developed for the 3D web will likely become the most universal use of VR. 3. Make The Best Use of Free Resources. If you’re stumped, there’s always Google to help you out. Unity comes with its own tutorials for the absolute beginner here and there are plenty of online courses to improve your skills such as these and these. Once the prototype is ready, add appropriate sound and art to make the experience as immersive as possible. You also need to know how gyro and accelerometer sensors in mobile phones work as well as image processing and speech recognition. 4. Stay Up-To-Date With New VR Developments. Virtual Reality is a constantly evolving field and, the more you explore, the more treasures you’ll uncover. If you want to be a virtual reality developer, it’s important to stay up to speed on the industry. Subscribe to podcasts, read interesting articles about the subject, and follow the latest news. Remember that the VR industry is still at its nascent stage, so even when you think you’ve mastered it, there will always be newer things to learn. That’s why this is a great time to become a virtual reality developer. Finally, to make the most of this venture, you must meet up with other virtual reality developers. For instance, if you want to develop a VR mobile game, form an informal group, divide responsibilities based on everyone’s skills and test the prototype with each other. And most importantly, don’t be afraid to make mistakes and do enjoy the process of creating an artificial world. Photo provided by Elena Titova. 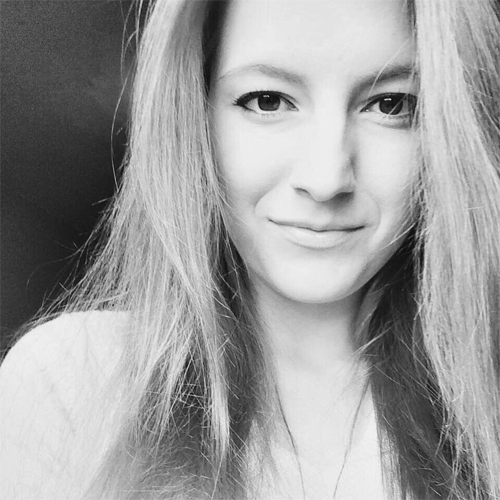 NYFA: Hi Elena, thanks for joining NYFA to share your thoughts on Virtual Reality (VR). Let me ask, what was it about VR that first captured your imagination? And what inspired you to found VR Observer? ET: What captured me is the opportunity VR presents in creating an entirely other universe. The endless possibilities. A dynamic shift in how we teach, how stories are told, how we learn, how we interact with information and each other. How we do things today will shift dramatically in the next few years. I founded VR Observer to capture this change as it happens. To be on the frontline of a technology that will eventually impact all of our lives. That doesn’t happen all the time. It’s an exciting place to be and I’m happy to be a part of it. NYFA: Tell us a little bit about your journey in creating a career for yourself in the world of VR? How did you get where you are today? ET: When I was a little girl growing up in Russia I was fascinated by space travel, still am to this day. I believe this was the foundation to where I am today, wanting to explore and discover new places and technologies. I have a background in marketing and UI/UX design which merge perfectly in my work on VR Observer. NYFA: How much experience does someone have to have to apply for/get a job using VR? In your view, what industries have most potential to utilize VR content? ET: The experience level required will be dependent on what field and area of VR one is looking at. One thing I find exciting about an emerging technology though is the fact that so many people are learning as they go. This in a way levels the playing field. The big one, of course, will be gaming. But we are really excited to see the utilization of VR in healthcare and the entertainment (movies/tv/news) industries. 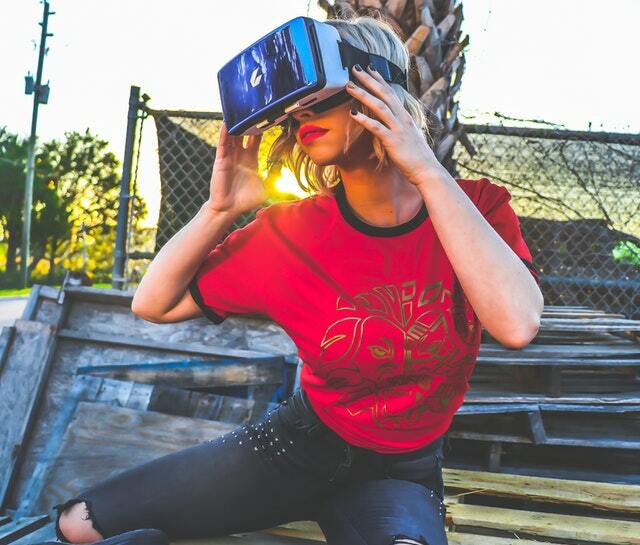 NYFA: From what you’ve observed in the industry, what companies are investing in VR, and where are opportunities for growth within the next year? ET: Facebook’s recent announcement that the social network could end up spending over $3 billion in the next decade to improve virtual reality and make it accessible to the masses, pretty much set the gauntlet. That was Mark Zuckerberg essentially saying VR is going to be the next big thing, and they want to be in front of it. Of course Apple, Microsoft and Google all have major investments in both VR and AR. I find it interesting to also monitor the steady increase of VC money into VR/AR and MR startups. CB Insights has some great data on that. NYFA: What exciting market trends have you observed in regards to both hardware and content? ET: The hardware has been improving. 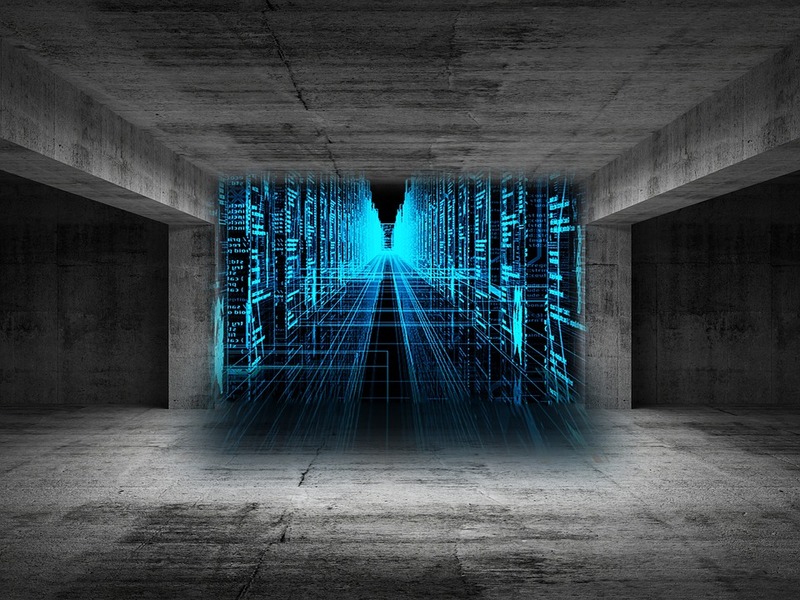 Companies are understanding how individuals interact with the virtual world and are honing their products, both H/W and content to create a truly immersive experience. I’m excited to see companies looking at all the senses and how to incorporate them. There is a company that is working on incorporating smell into a virtual environment. Imagine walking into a garden and smelling the roses! NYFA: You have a strong entrepreneurial background. How do you see entrepreneurship and VR working together? What should young professionals interested in VR borrow from the entrepreneurial mindset? ET: They are peas in a pod. Anytime a technology comes along that has the potential that VR contains the entrepreneurial opportunities are everywhere. Just do it. Go for it with no fear of failure. This is such an exciting time, learn from the best, but do it your own way. Always be learning and improving. NYFA: As you watch VR evolve, what challenges do you anticipate the medium will face in the coming year? And how do you think those challenges can be met? ET: Adoption. The early adopters have embraced VR. We now need the next wave of consumers to experience VR, and in turn purchase and utilize VR. To touch further on what I said above, VR needs to be experienced. It cannot be described sufficiently enough to someone who has never actually been immersed in a virtual world. Hardware and content providers will need to get their products in the consumer’s hands. Cost is also an issue, but I have faith in Moore’s law to rectify that in time. NYFA: What do you wish everyone knew about VR? ET: That is not just for games. Don’t get me wrong, I enjoy fighting zombies as much as the next person. But I don’t think people outside of the VR world know how VR is helping soldiers with PTSD, how VR is helping train our next wave of surgeons, how VR is helping people overcome phobias. All of these [applications] and more will help individuals, and in turn, society. This is what excites me about VR. Elena, it’s been a pleasure learning more about you and VR Observer. Thank you for sharing your VR insights with New York Film Academy! Are you interested in learning more about virtual reality? Explore the New York Film Academy’s three immersive VR workshops. One of the best things about our industry is that each year brings something to look forward to. In 2016 we saw both the PlayStation 4 Pro and Xbox One S release, making it the first time consoles got a mid-generation model with added power and 4K support. Anticipated games like Final Fantasy XV, Overwatch, and two new Pokemon titles also gave gamers plenty to enjoy. But perhaps the biggest reason last year will be remembered is for one thing, above all others, changing the gaming landscape: virtual reality. Ever since the Oculus Rift Kickstarter campaign raised more than $2.5 million in 2012, a race began to see who could create the best VR gaming device. Options you can buy today include the PlayStation VR, HTC Vive, Oculus Rift, and Samsung Gear VR. The new VR devices have been received well so far. Their ability to trick our minds into thinking we’re inside vivid virtual worlds is an incredible experience. However, many of the games that released alongside these device received mixed feedback. Although impressive, a lot of titles felt more like tech demos than actual games. Batman: Arkham VR let us become the Dark Knight himself like never before — but only for about two and a half hours. Gamers didn’t buy expensive VR devices to enjoy games that last about as long as your average Hollywood film. This year we’re expecting developers to do more to convince people still thinking about investing in a VR headset. The good news is we’re already seeing regular games with added VR support, like the well-received Resident Evil 7. To sustain and grow, the 2017 VR craze needs bigger studios with higher budgets to invest in making better, more accessible games. If there’s one reason more VR devices aren’t in more homes today, it’s the price. Almost every headset currently on the market will set you back a few hundred bucks. If you want an Oculus Rift or HTC Vive, be ready to pay $799 or $599, respectively. And even if you drop the cash for one, your current computer might not be ready for it. According to NVIDIA, 99 percent of computers on the market in 2016 aren’t powerful enough to provide the best virtual reality experience possible. The PlayStation VR released with a price tag of $399, which doesn’t count the Move controllers ($50 each), camera (another $50), and console itself ($300). Unless we see price drops on the current devices, or more affordable devices released, the VR market will struggle to turn a profit or take off with the average consumer. The fact that certain VR headsets have received discounts recently is a good start. Some affordable options are already showing up on the market for those who want to pay less for something more basic, like the Google Daydream. Despite many VR headsets being sold last year, many continue to doubt whether virtual reality is the next evolution in gaming. To many, it’s nothing more than a fad similar to motion controls made popular by the Nintendo Wii in the last decade. However, VR does offer unprecedented opportunities to revolutionize the way we explore video game worlds and stories. No matter which side they’re on, experts do agree that 2017 will give us a greater sense at how VR will do in the future. It’s up to game developers to release groundbreaking VR projects that make everyone else feel like they’re missing out. Fortunately, companies like Google are jumping into the market with affordable VR headsets, making it easier to try VR before investing in a better product. What are your predictions for how virtual reality with change games in 2017? Let us know in the comments below! Learn more about virtual reality at the New York Film Academy. Of all the computer technologies that you have to try for yourself to truly understand, virtual reality is the king. Unless you put on a VR device and find yourself in a completely virtual world, you’ll never understand the immersive power of virtual reality, and why it’s poised to play such a vital role in the futures of many industries. In the past, attempts to make VR something the average consumer can enjoy at home failed due to technological limitations and high costs. But today, many companies are investing in devices that most people can afford to purchase. Now, as VFX studio CoSA, the duo has grown a team that serves various clients. Working with the likes of Marvel, Warner Bros, Disney, and more, they’ve worked on popular shows and movies like “Gotham,” “Minority Report,” and “Guardians of the Galaxy.” If there’s anyone who could provide ground-breaking VR scenes for film and television, it’s CoSA. Even more exciting is the fact that Framestore is very interested in VR, enough that they’ve already developed experiences for many devices. These include HTC Vive, Oculus, and Samsung’s Gear VR. They are also currently working on exciting projects for the popular PlayStation VR and anticipated Microsoft HoloLens. Some of the former Framestore folks, award-winning game developers, and VFX artists have joined forces in a VFX studio called The Endless Collective that’s been doing some very cool stuff. Their company mission to push boundaries on the edge where technology meets the impossible is reimagining commercial campaigns. Starting out in a basement in 2010, Zero VFX has since grown to become one of the most artistic and innovative technology companies around. They also developed the world’s first fully cloud-based rendering solution, which Google eagerly purchased in 2014. In five short years, Zero VFX already has an impressive resume of projects where they provided ground-breaking illusions. These include: “The Magnificent Seven,” “Ghostbusters,” “Southpaw,” “Black Mass,” and countless other films and commercials. ILM is a giant in the film industry. The acclaimed special effects company was founded 40 years ago by George Lucas to create all the illusions we know and love from the original Star Wars. Since then, ILM has amassed an incredible resume of award-winning projects. It’s no surprise that ILM is interested in the virtual reality space. In mid 2015, it was revealed that a new division called the ILM Experience Lab was formed to focus on virtual reality. While they have worked on any retail projects, many game-like experiments have shown off that feature interacting with Jurassic Park dinosaurs and even speeding through a Star Wars battle. Brickyard Pacific Works began in 2004 at the helm of industry leaders in the visual effects world. As one of the top VFX companies, especially in the advertising trade, chances are you’ve seen one of their many commercials. Their clients include everyone from Disney, Doritos, and Carl’s Junior to Puma, Cadillac, and LEGO Systems. If the day comes where we’ll be watching television on VR devices, you can bet Brickyard will be responsible for many of the immersive commercials you see. This is only the beginning of the list of companies joining in the quest to advance and develop exciting new virtual reality technologies. It’s an exciting time and an exciting industry, which is why the New York Film Academy is pleased to now offer three innovative and unique workshop programs to bridge the worlds of VR, filmmaking, and game design. Learn more NYFA’s new VR workshops, and let us know which VR developments you are most excited about in the comments below! First things first: virtual reality is a communication medium, not a technology. Technologically speaking, there are three variants: virtual, augmented, and mixed. These exist on a spectrum of RL integration, or we can call it degrees of immersion. VR refers to full immersion, entirely computer-mediated content presented in total isolation through a headset and optional headphones (although social exists through embodied avatars). Think Fruit Ninja VR and Oculus Rooms. AR refers to complementary immersion — a screen projects computer-mediated information into the real world, where users can synthesize and contextualize the screen-based content. Think Pokemon Go and Google Maps. MR uses light, projected into the eye via mirrors (HoloLens) or prisms (Magic Leap’s rumored approach), to present content that is completely integrated into RL, even interacting with/responding to the environment and actions of the user. The future will likely see more points of RL+CG integration and synthesis, so I refer to the medium as “MAVR” when talking about aspects that are true across all the tech. 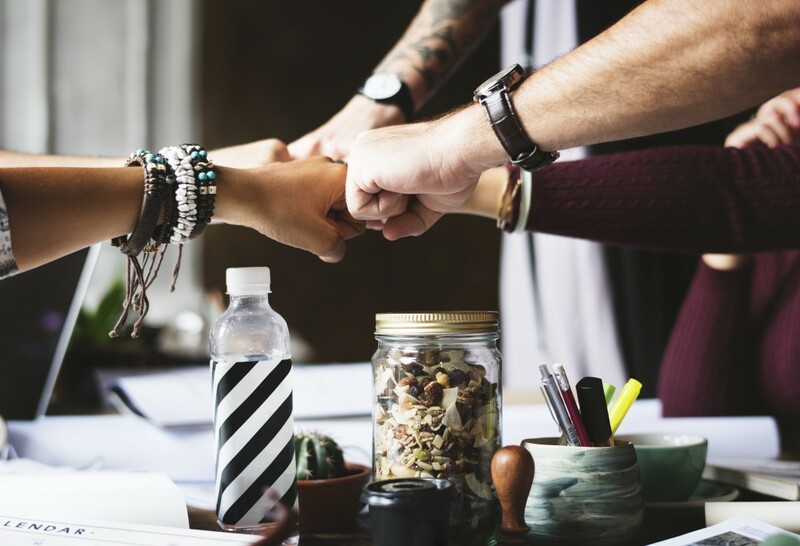 As a communications medium, it’s important to put the technological advancements of MAVR into context: this is a tool for sharing ideas, experiences, and information. Just like paint, print, photography, and film, it has limitless uses and applications. So here we are, back in Plato’s Cave, just seeing the silhouettes of the visual spectrum through a new medium. It’s an exciting time ripe with possibility. But understanding it and using it require us as creators to redefine our relationship to our audience, and learn some 21st century skills. First, you have to understand experience design. There are a bunch of complicated ways to explain what that is, but I’ll put it to you the way it was put to me: Ever been to a city park? Everywhere through the park there are paths — concrete, asphalt, brick, what have you — designed to take you the scenic route. Crossing over and around those paths you see dirt tracks that cut right through the grass. Those are the user-created paths, and your job as an experience designer is to anticipate the use and put the paths where they are most useful (and beautiful — never underestimate the importance of beauty). The second characteristic you have to understand about immersive design is framing. Though headsets limit the area you can see in any momentary gaze (just like your eyeballs do, but with a slightly smaller periphery), the “camera POV” no longer dominates. You’re surrounded, not compelled to look at a rectangle of information dictated by the director/designer. So, if you’re telling a story, the whole world is “on stage.” Very Shakespearean. As a user, the most relevant feature of MAVR is agency. Video game designers understand this, because even though your designs only create the illusion of choice, you are rightly vilified if those choices are merely superficial masks for a golden path. But even when we’re not talking about entertainment apps, you still need to make room for the user who will co-create a personal experience. Whether you’re learning anatomy or meditating with Tron fish underwater or overcoming post traumatic stress, no one user will follow the exact same paths as any other. A whole new vocabulary of symbols, gestures, and space is being formulated to move creators beyond the limits of the frame. Once you establish a conceptual foundation from these concepts, you can start focusing on execution. You will definitely need a computer, so building a foundation in programming, 3D modeling & animation, VFX, post-production, and 360 sound design (all rapidly evolving, complementary skill-sets), is a good start. You can try out 360 video, and experiment with cuts and transitions to move through time and space. But you may also want to make that live footage interactive, so you’ll need to learn compositing and utilize a game engine or webVR app to add those trigger points. And while we’re talking webVR, just wait until you can surf through a 3D internet (yes, it is just like Johnny Mnemonic and The Matrix … what does Keanu know that we don’t?)! Not happy with the design of the headsets, headphones, hand-held controllers, and other wearables? 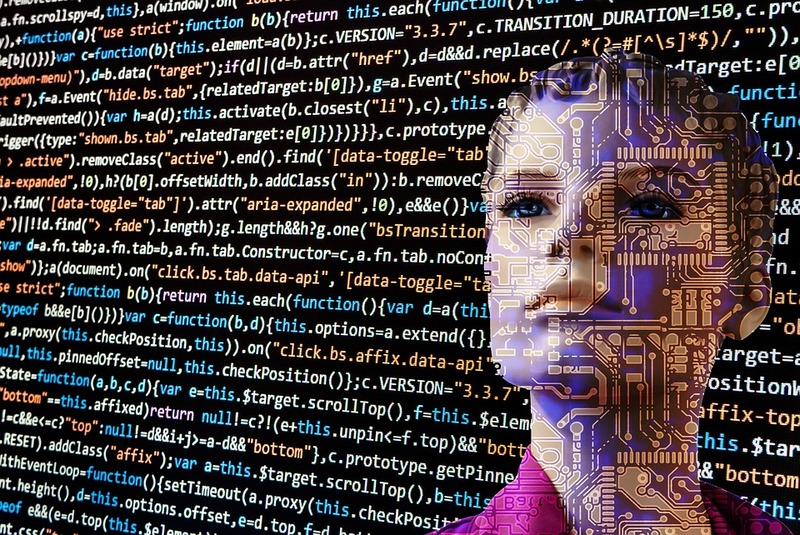 Look into AI, robotics, mechanical engineering, networking, human-computer interaction, product design, and software development. Career-wise, you can take one of two VR paths: technical or conceptual. Technicians will be the ones to build the content and solve the usability problems that will evolve into the same universal saturation for immersive content that we discussed with respect to flat screen media at the beginning of this article. Concept people will be the creative directors and storytellers of the immersive age. The immersive age is upon us, how will you shape it? NYFA has programs in Game Design, 3D Animation & VFX, VR Filmmaking, Interactive VR, and VR Game Design. Choose your path. With improvements to virtual reality technology, many creative industries are opening up to seemingly unlimited new possibilities as we discover unprecedented ways to tell compelling stories through the medium of Virtual Reality (VR). Experimentation and opportunity are the name of the game in this thrilling new medium, which is why the New York Film Academy is launching three distinct new VR programs this year. Because VR allows for participatory experiences, it has pros like being able to establish empathy and allowing viewers to be engaged as more than passive observers. Yet VR also has its drawback, such as no longer being able to fully direct where the viewer looks and the details they choose to focus on. 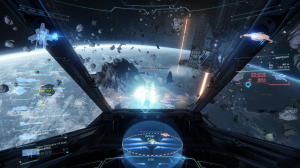 In many ways, these are the challenges the gaming industry has faced with first-person POV games where players’ decisions throughout gameplay lead to different outcomes. However, in most games that are structured this way, there is also an “ideal” storyline where players who make the intended decisions get the best experience from the game, and there are cues to get players to make different decisions in order to maintain the story. Cut scenes also help stitch together the narrative and keep players moving in the “right” direction. Some of the decisions visual storytellers need to make include how to make sure the audience will stumble upon the right objects and details to make sense of the story. Unlike “Choose Your Own Adventure” books, which had set paths and a limited number of choices, VR potentially opens up a simulation of real life where 10 different people in any given situation will make 10 different decisions. This means storytellers still need to find a way to guide the narrative, whether that is staging the environment so that only truly key objects attract attention or creating compelling interactions with the characters. How can filmmakers and other creative storytellers use VR in their own projects? Let’s look at a couple of examples that show how filmmakers are tackling these issues. “Henry” is a short film by Oculus Story Studio that centers on character interaction. In “Henry,” one thing that keeps the story unfolding in the intended direction is the interaction with the character. When he makes eye contact and recognizes the viewer with a little smile, it draws the viewer into his story and establishes empathy. There is also very little in the environment to distract the viewer. Katy Newton and Karin Soukup describe their decisions for creating the narrative in “Taro’s World” as “influencing” rather than “directing” the storytelling. In their article on Medium, they write about how camera angles, the objects in the scene, the actions of other characters can be set up to guide the viewer’s interaction with the environment. News outlets are also using VR to help take viewers on location. USA Today recently featured a 360° look at Joshua Tree National Park, which gives viewers a chance to “ride” on a zip-line through the park and have a face-to-fur encounter with a grizzly bear. Perhaps documentary filmmakers will lead the way in making the most of VR as they put the viewer in a specific environment, allowing them to explore the world as the documentary subjects experience it. As Sir David Attenborough explains, one of the great advantages of VR technology is being able to immerse the viewer in the experience with audio and visuals in a way that can’t be done in traditional film. This piece from StoryUp about the lack of mobility options for the disabled in Zambia lets the viewer see how hard it would be to have to crawl everywhere and be dependent upon others for one’s most basic needs. How can you get started? While this article from the NYFA’s student resources is about VR in game design, it will help you think about the possibilities VR offers. 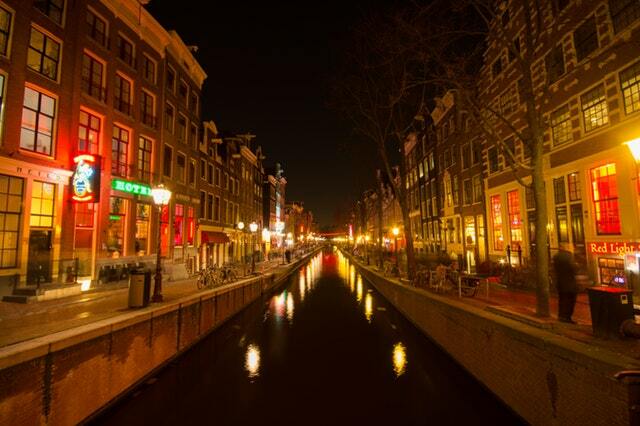 Charlotte Raymen also offers some advice on equipment and camera usage on the Raindance blog. Jesse Damiani has several tips for VR storytelling in this article for the Huffington Post. How do you imagine VR will impact storytelling? Let us know in the comments below! Two decades ago, the video game market got its first taste of virtual reality thanks to the Virtual Boy. The device promised “true 3D graphics” that would immerse players into their own digital universe. 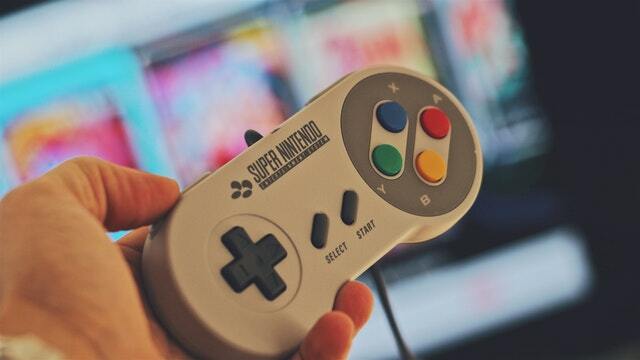 As a Nintendo product, it was destined to sell millions of units just like the Game Boy and Super NES. Instead, the Virtual Boy was a complete disaster. 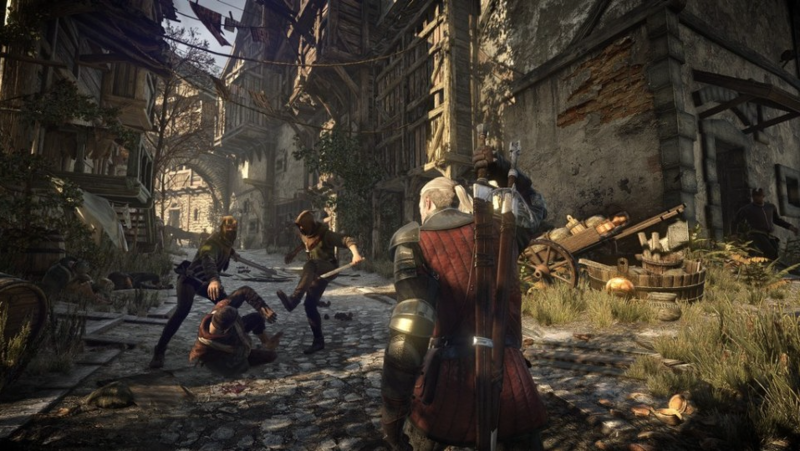 Players criticized the console for lacking realistic visuals, more colors, and head tracking. Its commercial failure would haunt the industry for years, convincing companies to avoid releasing their own VR devices even as technology advanced. 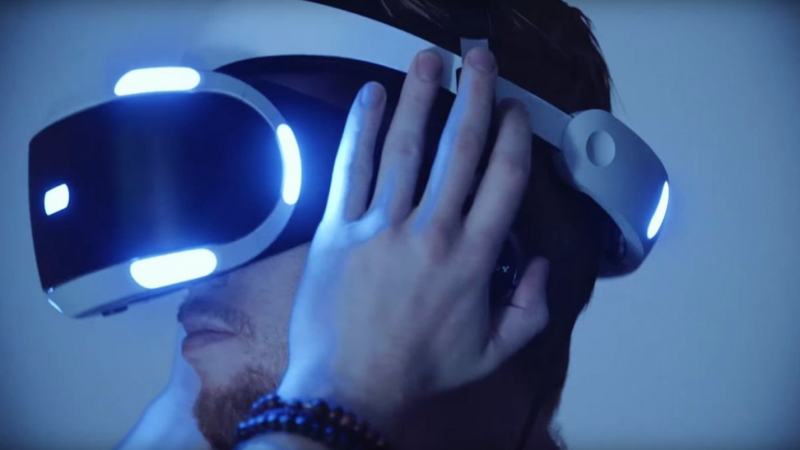 Skip forward to 2016 when virtual reality is once again poised to take the industry by storm. From the HTC Vive and Oculus Rift to Sony’s PlayStation VR and the Microsoft HoloLens, the stage is set to see who dominates a new market. Even more VR-compatible games than ever will be available to try at Gamescom 2016, Europe’s largest games fair. So, what are the possibilities for VR games? When we think about VR games, we imagine completely new experiences designed around the concept of being inside the digital worlds. While many titles will be made from scratch, it doesn’t mean developers aren’t looking to apply VR to “traditional” games. After all, if a game’s’ world already blew us away on a flat screen, it will probably be even more incredible with a VR headset. Many games have already been made with VR support. You can use the Oculus Rift to play recent hits like The Witcher 3 and Dragon Age: Inquisition. Even older gems like World of Warcraft, Bioshock, and the Dead Space trilogy are now compatible. What could be more frightening than actually walking down the dark, necromorph-infested halls of the USG Ishimura? Of course, VR compatibility doesn’t change the gameplay. Aside from moving your head to look around, you don’t have to worry about a new control scheme or any major change in mechanics. However, big-budget titles now supporting VR may at least push developers to create even better jaw-dropping visuals. Many game studios have succeeded in bringing a specific genre to a platform that isn’t considered suitable for its style of gameplay. When it was announced that Ensemble Studios would be creating a real-time strategy game for Xbox 360, many laughed at the idea of using a gamepad instead of a mouse and keyboard. The developer proved it could be done after Halo Wars received excellent reviews from all major publications. With virtual reality, developers are already looking at which types of games will work best and which won’t — and realizing that games consisting of simple mechanics and exploration are the ones that provide a better virtual reality experience. In other words, expect to see a lot of simulation games. Edge of Nowhere, Windlands, Star Citizen, and EVE: Valkyrie are perfect examples of games that require limited button input so that seeing and exploring plays a larger role. If you were expecting the same complexity as our favorite Action Adventure or Fighting games, you may have to wait until better add-ons release. The only way virtual reality will have a major impact on game design is if it offers something unique: an interactive experience that can only be enjoyed through the lens of a VR headset. But unless designers come up with fun, groundbreaking gameplay styles, VR will only offer a “better” version of what we can play on other platforms. There are also some bugs VR game designers will have to address. For example, many users get headaches after VR experiences that last more than 20 minutes. That’s a big challenge, especially for gamers who want to immerse and play for extended periods of time. Remember when motion controls became popular? Nintendo’s original Wii console has stood the test of time as one of the best-selling video game devices for offering gamers a different way to play. Microsoft and Sony followed suit with their own motion devices — Move and Kinect. Although motion control didn’t become the norm, these systems still had their day in the sun for offering a fresh experience. What does this tell us about the future of VR? Many, many things. VR may expand the very definition of what we think of as “games” — for example, lots of popular VR experiences don’t require a player to reach a certain outcome to progress forward, and are more experience-based. 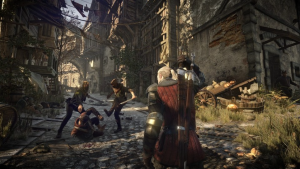 Designers will have new exciting opportunities to redefine what a game is, packing in more story, emotion, and meaning, something like this that gets people to play on a massive scale. Designers who can think outside the box and take advantage of VR’s strengths will help this new, promising platform make a bigger impact on our industry. What do you hope to see in the future of VR games? Let us know in the comments below! Learn more about Game Design and VR at the New York Film Academy. 2015 marked the second time that Sony put on their own showcase live event—the PlayStation Experience. From upcoming independent games and big-budget titles to tech demos and awesome reveals, it had everything you could ask for from a game industry event that isn’t E3. Sony definitely succeeded in exciting gamers everywhere with what’s to come for PlayStation device owners next year. The PlayStation Experience also gave us a taste of where the gaming industry may be going in 2016 and beyond. The truth is, video games haven’t had any groundbreaking innovations in the past few years. It’s been mostly gradual enhancements like better visuals, online capabilities, and downloadable content. These are minor innovations compared to—say—the jump from 2D to 3D which began in the mid-90s with the Nintendo 64 and PlayStation consoles. Or when motion controls like the Wii were released in 2006. Or when the Apple App store burst on the scene in 2008 and quickly became a dominant gaming platform. Although some are skeptical as to whether it will just be a fad or not, Virtual Reality is looking to be that next big thing that promises to offer an entirely new way to play games. Reminding Oculus Rift and Microsoft Hololens that Sony is also joining the fight, a good amount of time was dedicated toward PlayStation VR at the PlayStation Experience. No release date or launch price were given but there were a number of titles announced. Rez Infinite is a port of the original that will run at 120 fps on PlayStation VR but can also be played normally at 60fps. The Modern Zombie Taxi Co., lets you live the dream of being a taxi driver for zombies; 100 Foot Robot Golf lets you play a city destroying round of golf as a 100 foot battle robot; and—as a last example—Job Simulator is a satirical VR take on jobs that include chef, office worker, and convenience store clerk. The game lets players interact with objects and environments with the use of both PS VR and two PS Move controllers. Gamers everywhere were excited when Microsoft announced that the Xbox Onewould eventually feature backwards compatibility (e.g. old Xbox games would be playable on the new Xbox One console). While Xbox One owners celebrated this thought, PlayStation 4 users were left wondering if Sony would do the same for them. Unfortunately all Sony has offered to date is the poorly received PlayStation Now service, which allows you to stream PlayStation 3 games. The criticism of the new subscription-based service is that it doesn’t provide enough play value to warrant the cost. Sony originally priced the service as $20 a month (or $45 for three months), but announced at the PlayStation Experience reduced pricing at $99 a year. The bigger news was that PlayStation 2 titles would be available for digital download purchase on PS4. This includes some of the best games the PS2 had to offer, including Dark Cloud, several Grand Theft Auto titles, and more. While it’s great that they’re up-rendered to 1080p and come with their own trophies to unlock, the $15 price tag on each hasn’t made everyone happy. The point is: fans want to be able to play their favorite games on the latest console hardware. So far only Nintendo provides meaningful backwards compatibility with their consoles. There was a time when fighting games were the most popular genre on the planet. Street Fighter, Mortal Kombat, King of Fighters, Tekken, Dead or Alive, Marvel vs. Capcom—the 90s were dominated by these games as gamers flocked arcades to play them. The console versions of these titles also consistently sold well enough to convince publishers to greenlight sequel after sequel. The glut of sequels (SF2: Champion Edition, SF2: Turbo, etc) combined with a shift from 2D to 3D gameplay caused the fighting game to fall off the map. This remained true throughout the 2000s. However in 2009 Street Fighter IV reignited interest in fighting games and helped pave the way for excellent titles like Blazblue, Skullgirls, and the resurrected Mortal Kombat series. The 2015 PlayStation Experience showed us that fighting games are maintaining relevance. Fans have been signing the praises of Street Fighter V and the newest fighter on PS4, FANG. SNK also gave PS4 fans a closer look at the upcoming King of Fighters XIV that promises breathtaking visuals, multiple modes, and more than four dozen playable characters. While the first wave of PS4 and Xbox One titles looked good, they certainly weren’t the graphical upgrade we were hoping for. This was expected since the first titles made for a new console is usually a learning experience for game developers. If you look at history of every video game console, you’ll see a pattern of the best looking games being released toward the end of its lifecycle. Now it looks like next-gen fans are finally getting the stunning visuals they were hoping. At the PlayStation Experience we were shown a look at both Uncharted 4: A Thief’s End and Final Fantasy VII Remake, and they both look absolutely gorgeous.